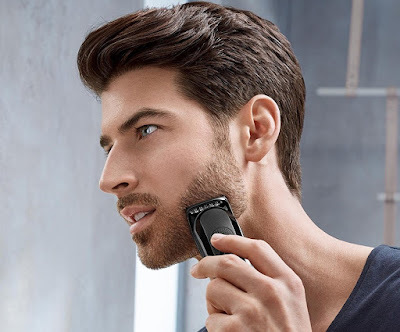 Our most recent male grooming reviews, of the Gruum personalised shaving kit, and of the Braun Series 3 Proskin Shaver, have both been geared toward guys who favour doing away with their manes completely. That is why we're happy to redress the balance today by reviewing the Braun Multi Grooming Kit; a stellar set of beard clippers. Oh, first up we need to clarify which of the three Braun Multi Grooming Kits we received to test. We got the MKG3060, the mid-range kit in the series, which includes eight attachments along with the trimmer itself. 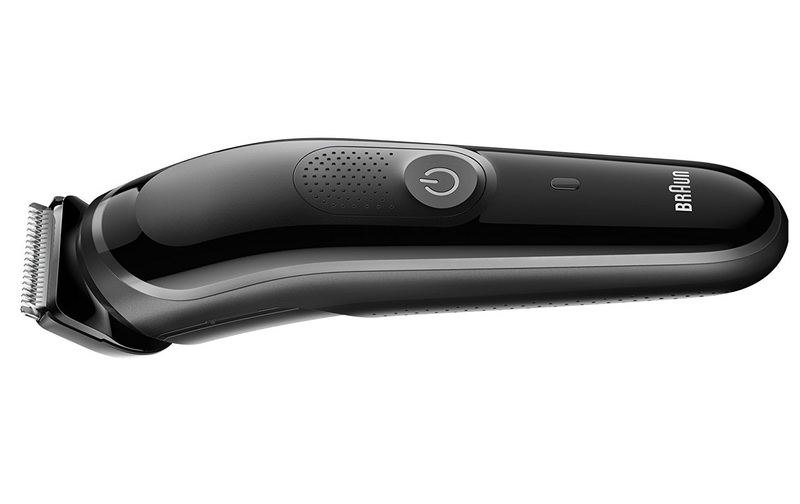 The unit, which is battery powered and charges via the included cable, is waterproof, easy to grip, and can handle hairs up to 21mm in length. Give this thing a charge of one hour and you'll receive 60 minutes of shave time. In our book - and bearing in mind that we all have beards these days (even the girls) - that means you should get a good couple of weeks out of this thing, if you trim your beard every few days. That means you can charge it up, drop it in your suitcase, and you're all set for your holidays without having to lug around the cable. The trimmer itself feels very much like all the other Bruan shavers we've reviewed, being solid, sturdy, and easy to hold, even with wet hands in the shower. There is an LED indicator by the power switch showing the remaining battery power, and the interchangeable heads and guards simply slide on top. 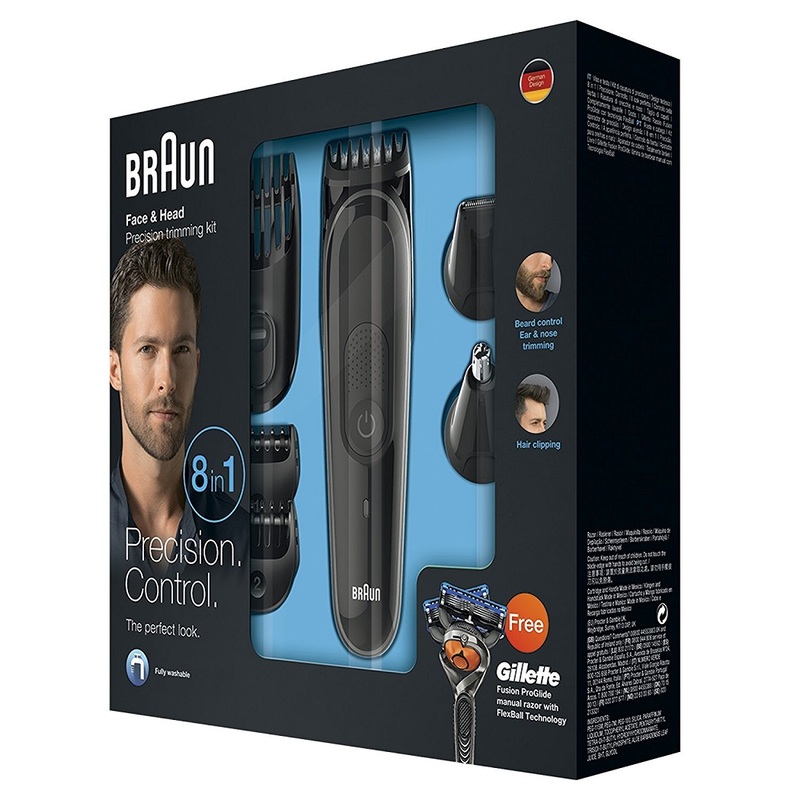 Braun say the trimming blades will last a lifetime - something we can neither confirm nor deny after two weeks of use. Still, they certainly feel sharp and powerful, even on thick weeks-old beards. The choice of cutting heads includes the standard trimmer, onto which the varying sizes of guards attach, and also a smaller precision trimmer and a nose and ear hair trimmer. 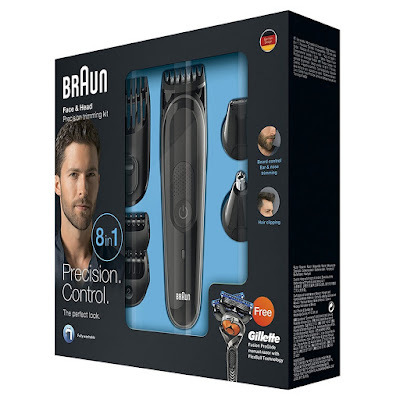 Depending on how you want your manly mug to look, we found the best part of the Braun Multi Grooming Kit was simply the main trimming head without any attachments. It cut well, trimmed close enough to keep us from looking like Brian Blessed. However, the larger guards would be very handy, even for Brian, as they let you cut to specific lengths safely so you actually can maintain your gruff facial hair regardless of style. We really do like Braun male grooming products, and we're glad to try one with stubbly hunks like us in mind. 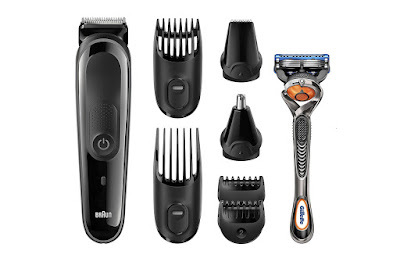 The Braun Multi Grooming Kit MGK3060 is perfect for both at home and while away.